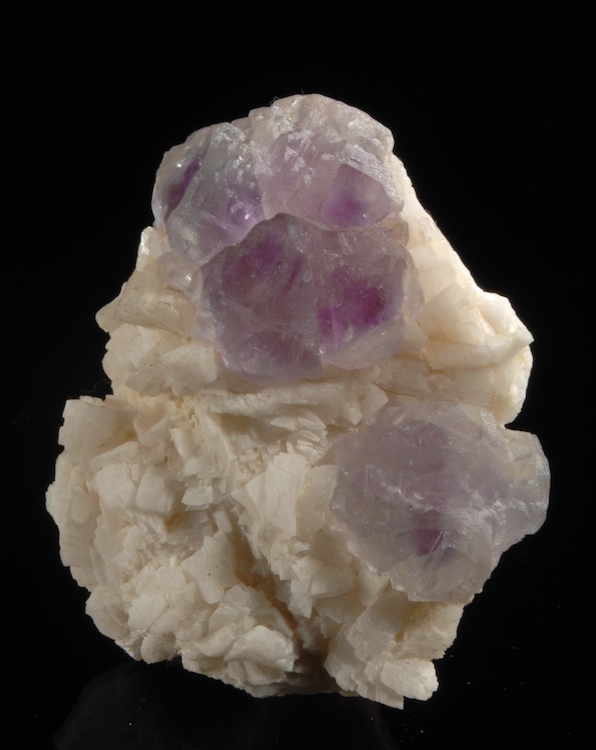 A doubly-terminated, complete and glass clear gem crystal of rich color Spodumene. A perfect floater this has no points of attachment and has exceptional transparency in person. Each face shows a different type of etching,there is no damage at all, simply a nice, colorful and fine crystal. 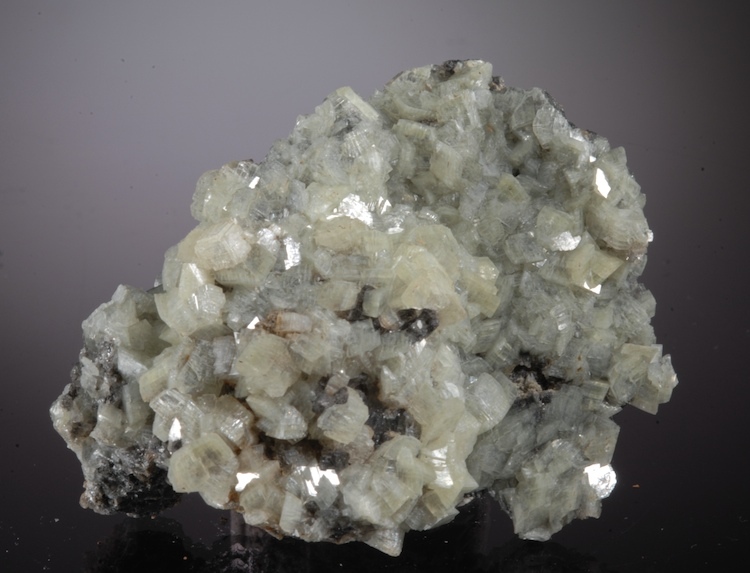 An excellent Afghan Pegmatite gem! 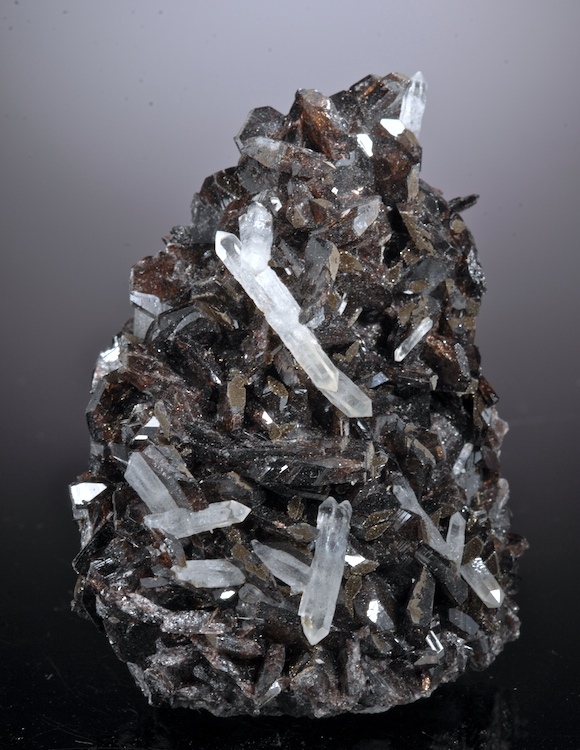 An unusually well crystallized Axinite from China that host well perched doubly terminated quartz crystals for a nice contrast. Ex Shields Flynn collection, thois is older material from about 2004. The Nandan mines have mostly been shut down and were only producing good minerals for a few short years. The Axinites from the area are probably the best ever to come out of China. In excellent condition (few were not badly damaged) with the only real bruising at the outside edges. Very nice luster and three dimensional relief. Big and lustrous with red highlights this is translucent to transparent on edges with a brilliant red when backlit. Crude but complete termination on both ends makes this an extra nice example. Better in person this is well above average, and not being found now. 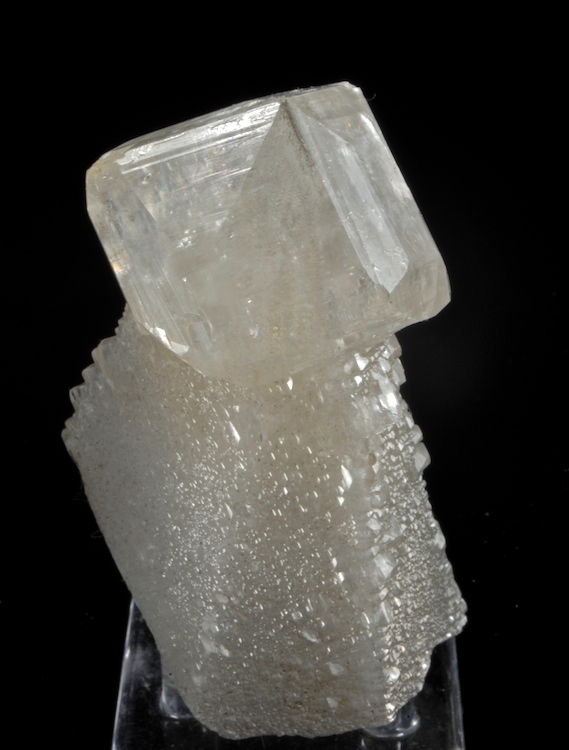 Fantastic form with a gem clear "cap" crystal on the termination of the older scalenohedron. In fine condition as seen with only very minor rub spots that are very hard to spot. Even better in person this shows with textbook perfection the habit that became famed from this old locale. Displays well from all sides. These old specimens still turn up from time to time, this one is far better than most. Fine and sharp gem clear Diopside crystals on a Diopside matrix in excellent condition. 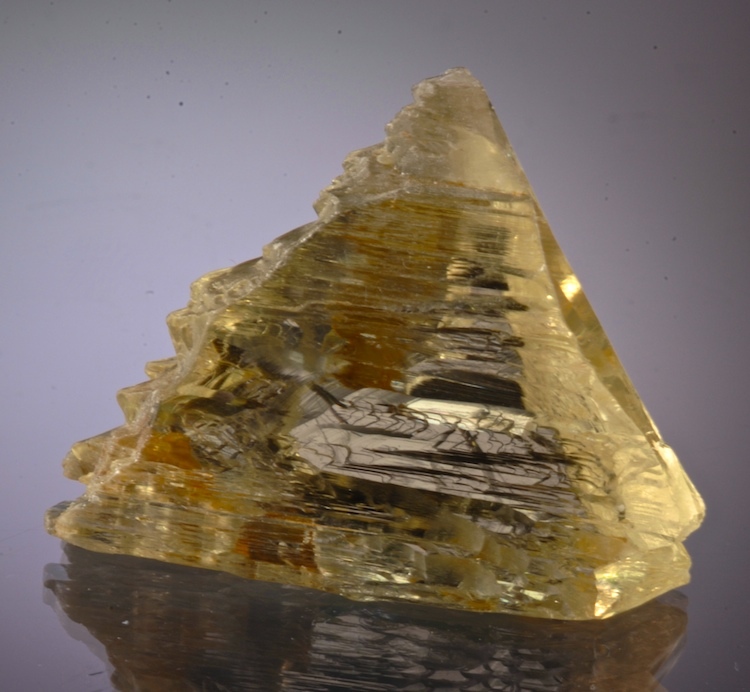 From the famed Dekalb classic location made famous in the 1800s, The largest crystal is 2.3 CM long and has fine transparency and a nice yellow-green color. This was collected by and in the collection of S. Alverson in the last good find over 4 decades ago. Since that pocket there have been no more with this clarity and glassy luster. Outstanding for the location and an esthetic piece as well! 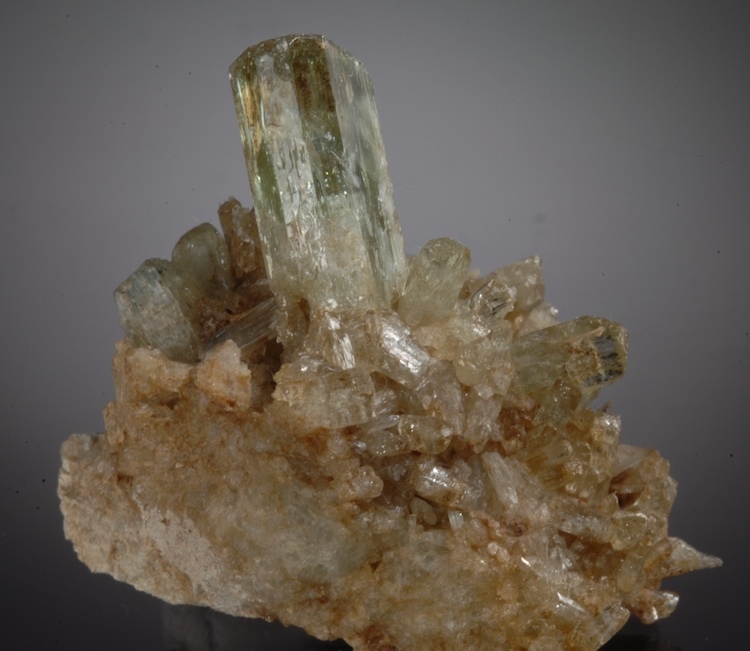 Sharp crystals of Smithsonite cover a matrix of Cerussite with some twinned crystals showing. The Smithsonites are all perfect and undamaged. A nice association the milky white Smithsonite crystals have nice contrast to the grey Cerussite. 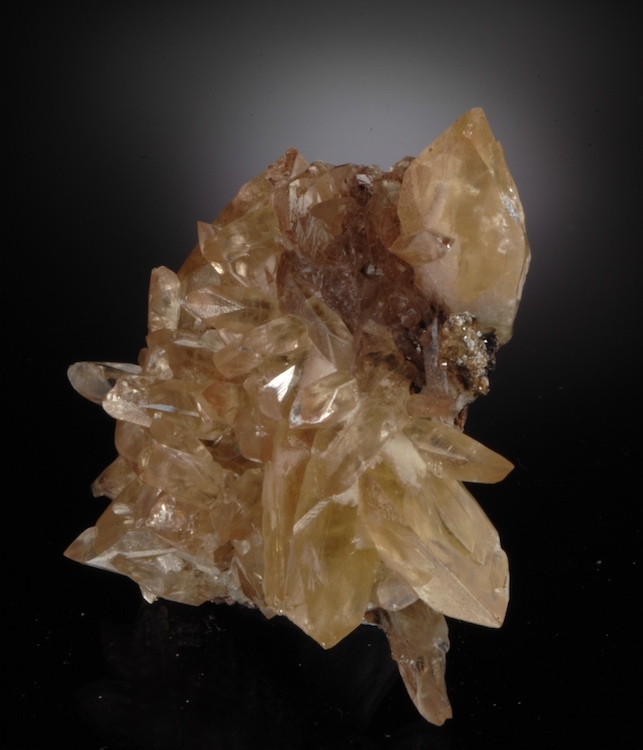 Yellow-hued crystals of transparent Smithsonite up to 2.5 CM long are sticking out in all directions on this complex yet esthetic piece. 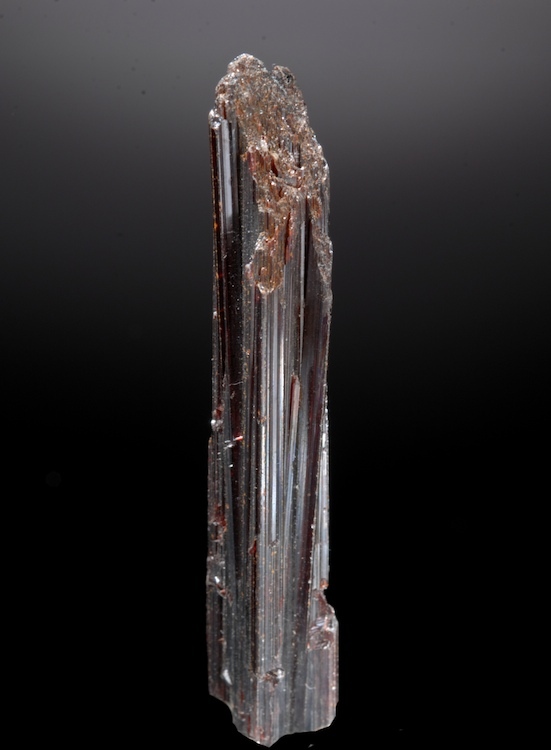 In outstanding condition overall, there is one crystal with a broken termination that will be hidden on most logical display angles. All of the other crystals are quite perfect. Without analysis I am not sure if this should be called Cadmian Smithsonite as many yellow examples are labelled. Choice and attractive.